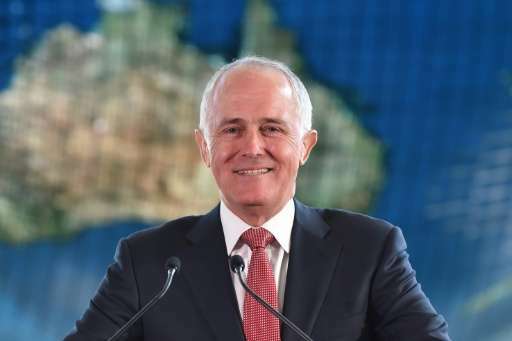 Australia unveiled a multi-million-dollar cyber scheme to combat hacking on Thursday, as Prime Minister Malcolm Turnbull acknowledged an attack on the country's weather bureau but stopped short of blaming it on China. The Australian leader added that it was safe to assume "efforts are made by foreign actors, both governmental and non-governmental, to penetrate" local agencies. "I can confirm reports that the Bureau of Meteorology suffered a significant cyber intrusion which was first discovered early last year, and the department of parliamentary services suffered a similar intrusion in recent years," Turnbull said in Sydney as he announced Aus$230 million (US$180 million) in new government funding. "I don't have anything further to add than what I've said today," he replied when asked at a press conference if the weather bureau attack came from China. The Australian Broadcasting Corporation in December cited an unnamed official blaming Beijing for the major cyber attack, where hackers got inside computer systems at the bureau, which owns one of the nation's largest supercomputers and has links to the defence department. Turnbull said the new funding, which comes on top of an allocation of Aus$400 million over the next decade to strengthen cyber security, would include support for regular meetings between government, businesses and researchers on tackling emerging concerns. The additional money would also help to boost international efforts, particularly in the Indo-Pacific region, to take down cyber criminals. "The Australian Crime Commission estimates the annual cost of cyber crime to Australia is over Aus$1 billion in direct costs," the prime minister added. "But some estimates put the real costs to be as high as one percent of GDP (gross domestic product) a year, or about Aus$17 billion." Turnbull said the government was focusing not just on defensive measures but also offence, stressing that the Australian Signals Directorate (ASD)—like allies the United States and Britain—had "very considerable capabilities", without elaborating. Regional superpower China, Australia's largest trading partner, has been accused of organised hacking against the US government and private firms, as well as other countries. In 2013, Chinese hackers were accused of stealing the top-secret blueprints of Australia's new intelligence agency headquarters. Two years earlier the computers of the prime minister, foreign minister and defence minister were all suspected of being hacked in attacks reportedly originating in China.